Housing is one of the most serious urban issues: the Housing Europe 2015 Report described a dramatic situation marked by the lack of adequate housing, the increasing of social and housing polarization, phenomena of housing deprivation and the reduction of affordability. In Italy, the last Federcasa-Nomisma report too has let emerge a difficult situation: the housing discomfort in 2014 involved 1.7 million households, touching both the Public Residential Building (ERP), and the non-ERP rentals. The social housing, even if able to offer leases lower than the market, cannot keep up with the growing demand; the Real Estate Funds System did not create enough accommodation to meet the housing demand. In addition, the last ISTAT report (2018) revealed the highest peak of absolute poverty since 2005, foreshadowing a possible increase of the housing emergency. 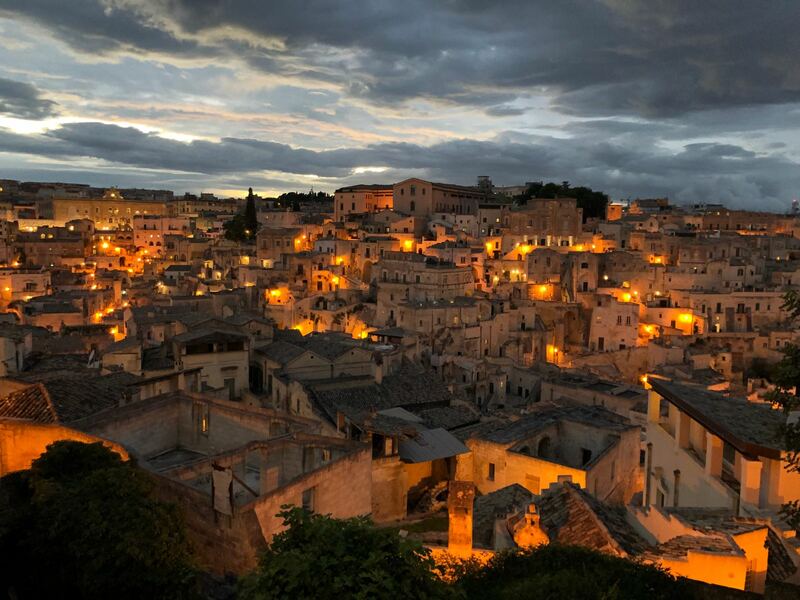 An important gathering to reflect about the Italian housing situation has been held in Matera (Basilicata) during the General Assembly of Federcasa, last June 27th -28th. A two-day conference introduced by a seminar event “House as a common. 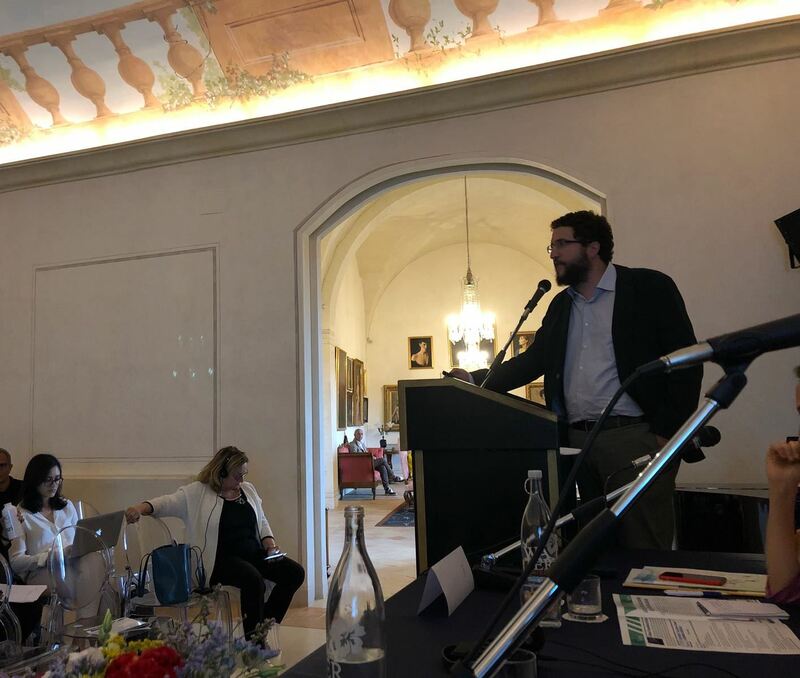 Public housing as a social infrastructure for urban regeneration and development”, organized by Federcasa in collaboration with LabGov – LUISS Guido Carli University and the ATER of Potenza and Matera. The event, with an international approach, was opened by the Federcasa President, Luca Talluri and moderated by the General Director, Antonio Cavaleri. It saw the presence of institutional actors and academic experts discuss the potentiality and critical issues of the new management and financing models for the public real estate. Among them also Professor Christian Iaione, which coordinated a recent research developed in collaboration with Federcasa to understand how to make the use of the existing housing stock more efficient and to investigate new models able to increase the availability of housing units and guarantee new ways of access. The research “House as a Common: from collaborative to community housing”, presented during the conference and to be published in the next months, focuses on the analysis of new forms of living, currently under testing both in Italy and abroad, able to promote or facilitate initiatives of urban regeneration through processes of social, cognitive and technological innovation and to generate new forms of urban governance. In particular the national and European contexts, both in terms of legal systems and practices, analyzed in the report, have highlighted the relevance of new housing models in which the cooperation, sharing and collaboration are predominant. The report started from the Elinor Ostrom’s design principles, glimpsing in the cooperative and collaborative management model of living and in self-organized communities of residents an alternative way potentially able to give a new and effective answer to the housing problem. The Ostrom’s approach has been developed by Sheila Foster and Christian Iaione to adapt it to the urban context and the research used the five design principles identified by the two scholars through the field work of the “City as a Commons” approach to analyze the housing sector. Applying the Co-City approach to the housing sector means reading the current problematics through a different lens paving the way for the hypothesis that new housing models based on cooperation and collective forms of management can represent a concrete answer to the current housing shortage. The research in particular analyzed and codified 73 Italian case studies, using the five design principles (urban co-governance, enabling state, economic and social pooling, experimentalism and tech justice) as empirical dimensions operationalized with qualitative indicators, taking inspiration from the Ostrom’s institutional analysis and from the Co-City database analysis, together with a hypothesis-generating and refining case studies methodology (Yin, 2014; Swanborn, 2010; Stake, 1995). In addition, an in-depth analysis through semi-structures interviews was made on 9 cases considered significant, extracted among those better able to show the main features and the dynamics to monitor under the Co-City protocol, and the main patterns emerged from the case selection. In particular, in terms of co-governance, translating this Co-City reasoning at the housing level, allowed to retrace a three stages model: the simple building sharing (first degree of the co-governance gradient, sharing), collaboration or co-production of services operated by the actors involved in the housing project (second degree: collaboration) and co-management and co-ownership of the buildings by the actors involved (third degree: plycentrism). From the analysis emerged a tendency towards the polycentrism even if there are not completed forms of it. In Italy, in view of interesting experiences, they still situated at the first and second degree but allow to understand some crucial aspects: first of all how the implementation of complex levels of co-governance in the housing sector required to develop new multi-actors social partnerships forms (i.e. public-civic, public-private-civic, etc.) and an ecosystemic approach to realize the transition towards new forms of affordable housing. The role of the public actors (enabling state) appears as a key element that favors the success of the housing projects and the presence of economic and social pooling processes through collaboration enables positive externalities of public utility for the local community. In addition, the civic element seems to be a better guarantee in the creation of truly collaborative projects and the presence of the private actor can influence the development of the project especially in economic terms. Nevertheless, there are some critical aspects underlined by the research: 1. A geographical imbalance in the distribution of the innovative experiences (the main innovative projects are located in the North and Central Italy, while the South still strive to find solutions in terms of housing affordability, the involvement of the public actor is still very marginal and the offer proposed by the active actors on the housing sector remains mainly private in nature); 2. Beneficiaries are mainly part of the so-called grey segment of population (people that cannot access to the traditional real estate market and not even to the public housing) and not the weakest; 3. Urban regeneration does not necessarily go through the re-circulation of disused public or private buildings; 4. With the Integrate Fund System often the public actors provide the land or the real estate but at the end the public resource benefits mainly the private actors and the fund becomes in this process a kind of privatization of the ERP system, hence the system should be rethought in order to avoid the risk to reproduce the same market fails of the public-private partnerships. What emerges from the research is that the public support becomes more effective when combined with the private sector and the civic component in order to favor the shared use of the commons, maintain a high level of experimentalism, encourage the use of technological innovations and the spirit of collaboration. What is still missing is a widespread administrative favorable context, that is the enabler infrastructure required to spread these emerging models (Aernouts and Ryckewaert, 2017). Therefore implementing models that enhance the universalistic role of the public housing agencies considering the activation of multi-stakeholders partnership inside new co-governance models, could help to face the more dramatic situations and cover more segments of population looking for a housing solution (Aernouts and Ryckewaert, 2018). From the analysis, the research identified the Community Land Trust as the tool better able to reach the level of polycentrism, since it is a model of property cooperativism able to realize stable partnerships among the public institutions and the so-called “public as community” – inhabitants, civil society organizations, cognitive institutions). The CLT is a community-centered model that tends to connect the diverse autonomous centers of a city, foreseeing a property scheme; while the sharing and collaborative experiences observed in Italy are mainly based on the use and management of the housing property without opening to the wide community. The research suggests that in Italy this solution could be introduced experimenting the potentialities of legal forms such as the community cooperatives, the participatory foundations, and other forms of social partnership and administrative tools already existing in the Italian legal background.  What is required is a contextual-based method applied through a preliminary experimental process inspired by the principle of the administrative self-organization of the local authorities and by the civic autonomy considering the specific variables of the urban social context and the institutional capacity. In this sense adopt an Advisory Board could be helpful to support the local governments and the agencies of public housings. Besides the research “House as a commons: from collaborative to community housing” the conference saw the speeches also of other experts: Laura Fregolent from the IUAV University presented a research on Venice estimating the crisis impact on the housing sector and suggesting to rethink the city starting from a wide-ranging knowledge of the local contexts. Alice Pittini, research coordinator of Housing Europe, explained how the principles of self-management, empowerment and co-creation can be integrated in the housing theme. Joaquin the Santos from the CLT Brussels presented the Community Land Trust operating in Brussels. Nestor Davidson, professor of law at the Fordham University, via skype call, explained how the American public housing works, going throw historical and political steps, stressing the concept of neighborhood effect, highlighting how the crisis is generating new housing models, talking about the Rental Assistance Demonstration (RAD) program, presenting some best practices such as the Common Property Funds or the New Yorker’s legislation to provide low-income citizens with access to counsel for wrongful evictions. In particular Nestor Davidson emphasized how the uncertainty of federal funding, as well as the political polarization, have led to social innovations and new models demonstrating that public and private can work together simply finding new tools to do it at best. Edoardo Reviglio from Cassa Depositi e Prestiti remembered the success of the old GESCAL founds and the importance to rethink the Piano Casa in order to consider the weakest segment of population. Institutional capability: testing before and evaluating after, should be the guiding concepts before any concrete action or change in the normative frames. The conference was closed by the President of Federcasa which also stressed the importance to start from what already exist in the Italian context to experiment new solutions, looking to processes of regeneration that are urban as well as social and economic. Federcasa is an association bringing together 114 public housing companies and housing bodies at the provincial, communal and regional level. Members of Federcasa provide over 850.000 social dwellings to low and middle income households, partly financed by public funding. TCP’s articles about CLTs available here. Il mondo delle case popolari si è incontrato a Matera il 27/28 Giugno 2018 in occasione dell’Assemblea Generale di Federcasa. 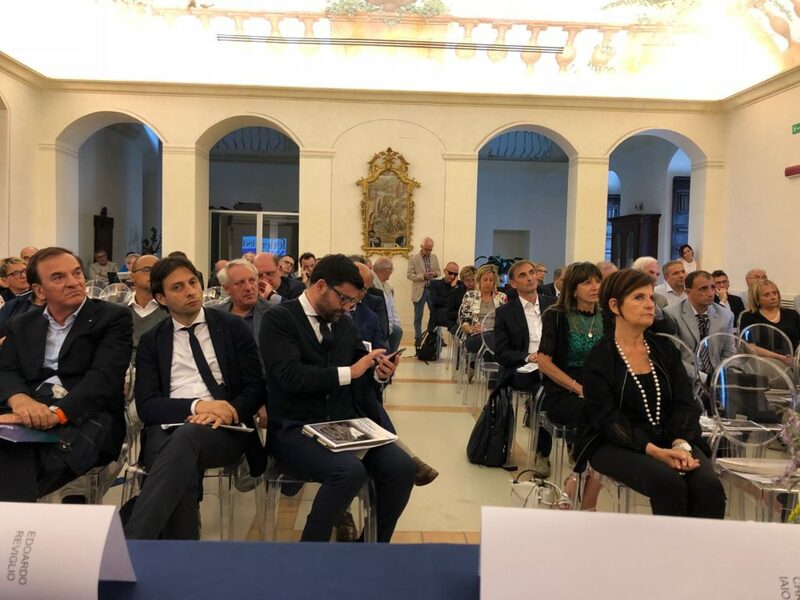 Un appuntamento arricchito dal convegno “Casa Bene Comune. Le case popolari come infrastrutture sociali per la rigenerazione e lo sviluppo urbano”, organizzato da Federcasa in collaborazione con l’Università LUISS Guido Carli e le ATER di Matera e Potenza. 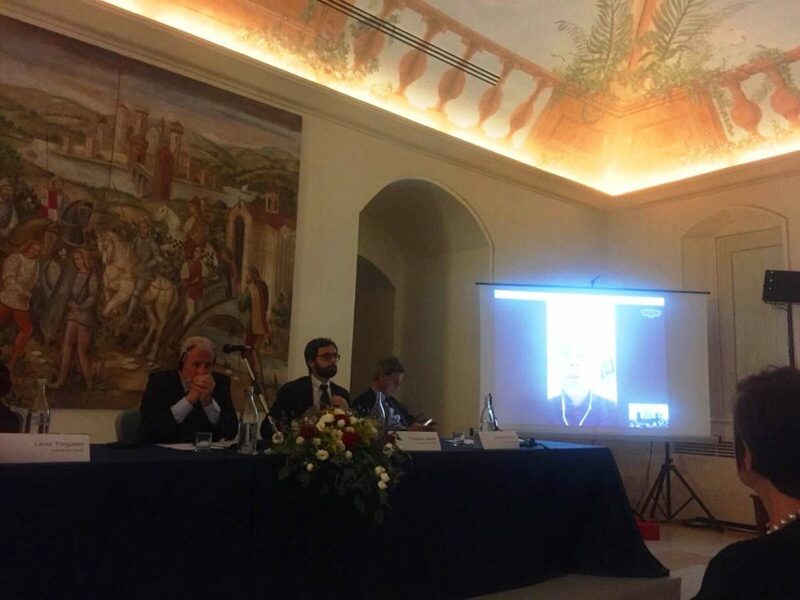 Diversi esperti, tra cui anche il prof. Nestor Davidson in collegamento skype dalla Fordham University di New York, sono intervenuti per discutere delle potenzialità e delle criticità delle nuove formule di gestione e finanziamento dell’edilizia residenziale pubblica. In particolare è stata presentata la ricerca “Casa Bene Comune: dall’housing collaborativo all’housing di comunità”, coordinata dal prof. Christian Iaione che ha investigato nuovi modelli di abitare capaci di aumentare la disponibilità abitativa e garantire nuove formule di accesso.